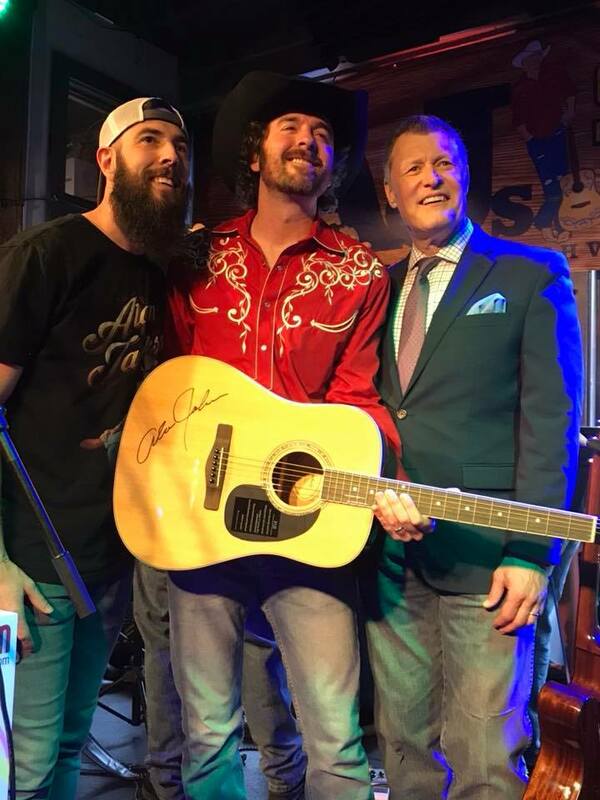 James was presented with a guitar autographed by Alan Jackson. Pictured with Matt Harville, Manager of AJ's Good TIme Bar and Bill Cody, WSM Radio Host. The WSM Road Show is a live performance talent competition highlighting up and coming country music singer/songwriters. The 2018 Road Show was presented by AJ’s Good Time Bar, which is owned by Grand Ole Opry member Alan Jackson. The talent competition awarded one grand-prize winner the opportunity to play the Grand Ole Opry in 2018 on the same evening Jackson makes an Opry appearance.